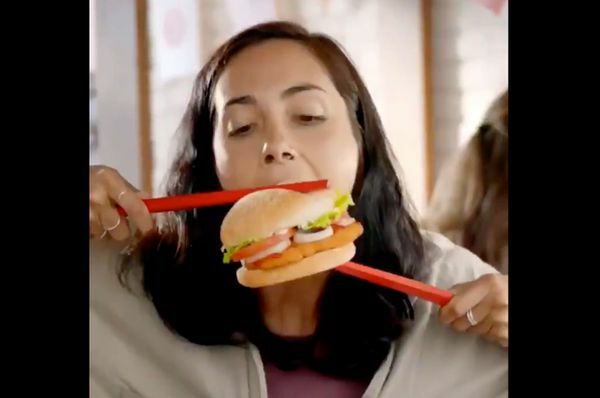 In a video clip posted on the fast-food chain's New Zealand Instagram account, people were depicted awkwardly struggling to eat its new Vietnamese sweet chili tendercrisp burgers with a pair of oversized red chopsticks. Korean Kiwi Mario Mo voiced her disgust on Twitter and told the Huffington Post: "Because I couldn't believe such blatantly ignorant ads are still happening in 2019, it honestly took me a second to work out what the heck I was looking at". USA fast food chain Burger King on Tuesday apologized after one of its commercials featuring chopsticks drew global backlash. In March the advertisement in question was ordered to be removed from television by the Advertising Standards Authority on the grounds it was "enticing people to overeat" because of the the final line in the ad: "Just need another three!" "I felt extremely fed up, and exhausted", Mo was quoted as saying. "And I could not believe that such a concept was approved for such a big, well-known company. Chopsticks!' and just ran with it without giving a single thought to what kind of messages could be inferred by their customer base", she added. Twitter user TatianaKing wrote: "I thought brands learned their lesson after the D&G chopsticks fiasco. then again I'm not surprised". Several other users agreed with her, saying the ad made chopsticks look "clumsy" and "stupid". "It's amusing but not culturally insensitive either".